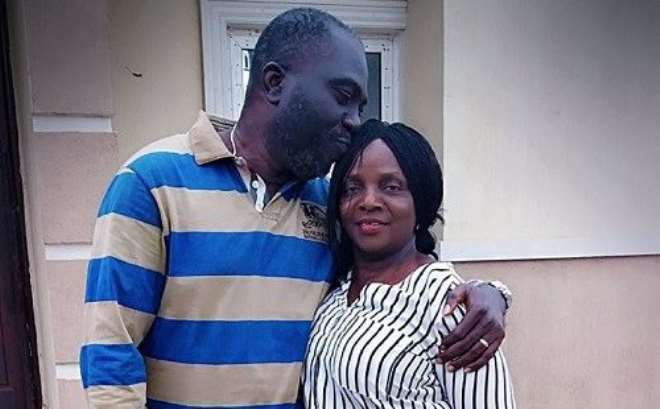 Singer, Simi's mom, madam Jedidiah Ogunleye who got married for the second time last year is celebrating her first wedding anniversary with her new hubby, Feyisayo. Madam Jedidiah took to Twitter to share this lovely photo with her husband posing together and wrote: "Happy 1st wedding anniversary to me and my baby. May we forever grow in love and grace all our days in Jesus name. Feyisayo, I love you now and always." Simi's mum and her estranged husband got separated almost 20-years ago, in 1997 and since then she has been single until she found love again and got married to Feyisayo, last year.